Crewed Private Yacht Charter – The Eastern Mediterranean covers a great region of magical destinations to discover and enjoy. It’s a part of ancient history, coupled with turquoise and deep blue waters, both sandy and pebbly stunning beaches, local culture and heritage, as well as excellent savory cuisine to delight the taste buds of visitors from around the world. 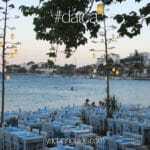 One of the best ways to take in all this brilliance is by a crewed yacht charter Turkey vacation. 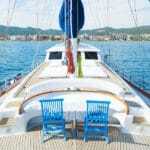 It is also possible to enjoy crewed yacht charters in alluring Greece and historic Croatia. Both gulet boats and motor yachts can be hired by travelers, during the start of the season in April, right up until the end of October. Each private charter is equipped with a crew ranging from 1, 2, 3 or more members to serve passengers all throughout the week or for however long the rental period has been agreed on. 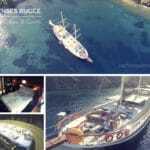 One of the benefits in a crewed gulet charter is that they are available around the clock. While the clean and quality standard and luxury class gulets may have a lower number of crews they will still be there if needed to cater to guest requests. The deluxe, ultra deluxe and VIP class crewed private gulet charters will provided a higher number of crew members, making it all the more convenient to serve guests on board more efficiently. 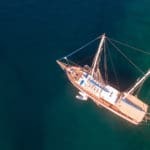 From the moment you step on board your private hired boat, the services from private crewed gulet holidays are available. All motor yachts and gulets are crewed. Therefore you don’t have to think about cooking and cleaning, as well as stocking provisions. The more informed crews are about you and your guest requirements, the better they can serve during your trip. Mealtimes are usually standard, however there is the flexibility of eating when you wish to as long as the cook is notified in advance as he/she has to prepare the meals according to the day and/or week. When it comes to the itinerary, although this is planned in advance, various factors will also affect the outcome of your travels. These can include the weather and sea conditions and the amount of time spent in each destination, along with other requirements during your holidays. The itinerary is best discussed, altered and finalized with the Captain of the crew. Land excursions are not always included in the charter price of your trip. The crew is able to make the arrangements for land excursions, water sports activities as well – depending on where you are in your route.